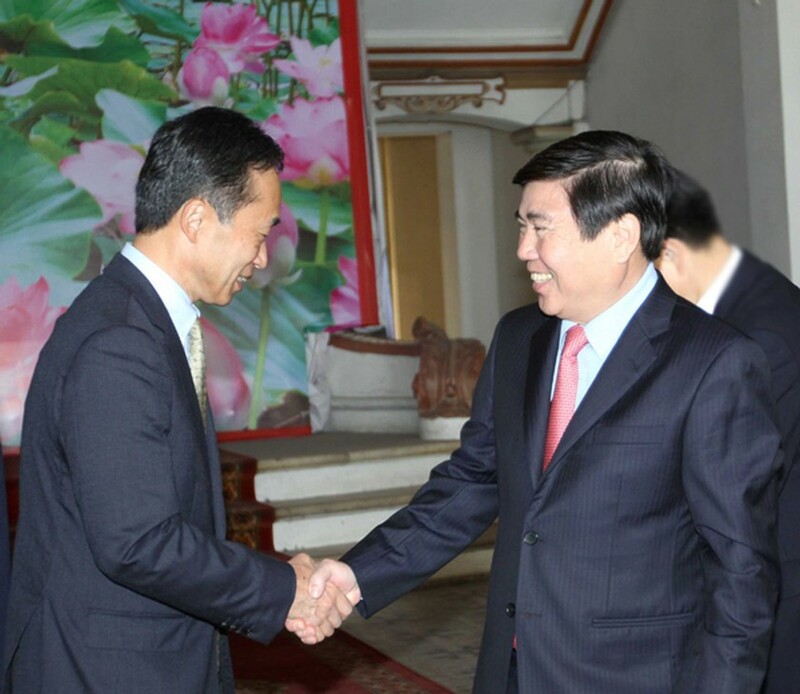 In a yesterday meeting with Deputy Chairman of Japan International Cooperation Agency (JICA) Shinya Ejima, Chairman of Ho Chi Minh City People’s Committee Nguyen Thanh Phong said that he expected JICA to continuously provide more support to infrastructure and environment in the city. Mr. Phong stressed that the relations between the two countries developed well. Japan has provided huge official development assistance (ODA) loans which are used for the city’s infrastructure construction and environment such as East-West highway project, metro line N.1 connecting Ben Thanh station and Suoi Tien station. JICA has played an important role in helping the city improve its infrastructure, traffic, urban, water hygiene which is critical to developing a sustainable industrial base. Chairman Phong said that disbursement of ODA-funded projects went smoothly in the first nine months of this year, expecting that the Japanese government will continue supporting the city to implement water environment projects in canals Tau Hu-Ben Nghe , Doi Canal, Te which help prevent flooding and urbanization renewal. Along with this, Chairman Phong proposed JICA to help the city on technology of operating Ben Thanh-Suoi Tien metro, the urban railway 3A and other metro projects to connect metro lines in the city safely and effectively. In addition to infrastructure projects, HCMC leader expected JICA introduce the projects to Japanese corporations which will join in bidding as well as expand cooperation and provide training engineers and transfer railway technology. JICA Deputy Chairman Shinya Ejima asserted that the bilateral cooperation has developed well for many fields and the Japanese government will increase ODA loans to help Vietnam in infrastructure construction. Japan funded 166 billion yen for Vietnam in 2016 and two projects of Ho Chi Minh City received the fund. One is a railway project and a water environment project. Japan pledges to continue providing non-refundable aids and technologies to the country, he said. JICA is considering loans to railway urban projects 3a and 3b as well as metro section to connect Ben Thanh and Suoi Tien stations and the southern provinces of Dong Nai and Binh Duong, he added. The JICA leader said that JICA is willing to provide technology and human resource training for the water environment project, urging the city to speed up the site clearance and resettlement for residents who live on canals because 6,000 households have been affected by the project. 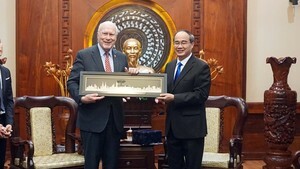 Politburo member and Secretary of the Ho Chi Minh City Party Committee Nguyen Thien Nhan hosted a reception on April 20 for a US Senate delegation, led by Senator Patrick Leahy, Vice Chair of the Senate Committee on Appropriations.